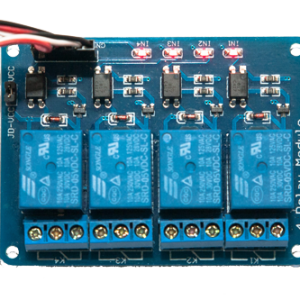 Drive relays for section switching or frog polarity. 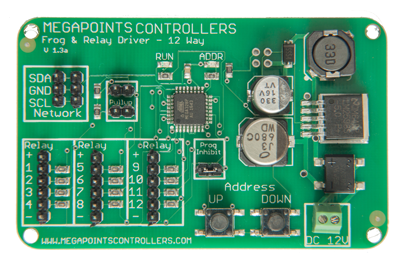 This is a dual purpose board that’s capable of driving up to twelve 10 Amp relays. In frog mode it will optionally synchronise with your Servo Controller to provide the frog switching with a minimum of fuss. Only a single network cable (supplied) is required to allow the two boards to work it all out for you. 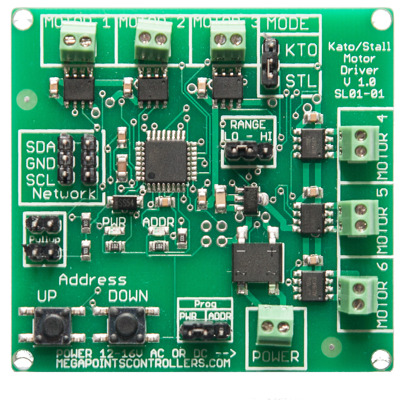 Control is via direct attached Servo Controller or via DCC accessory, Router or MultiPanel command. 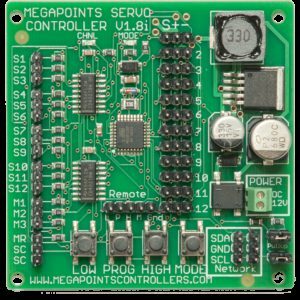 In relay mode you can attach up to 12 relays to your MegaPoints Controllers network that are able to be independently switches via DCC or MultiPanel command. 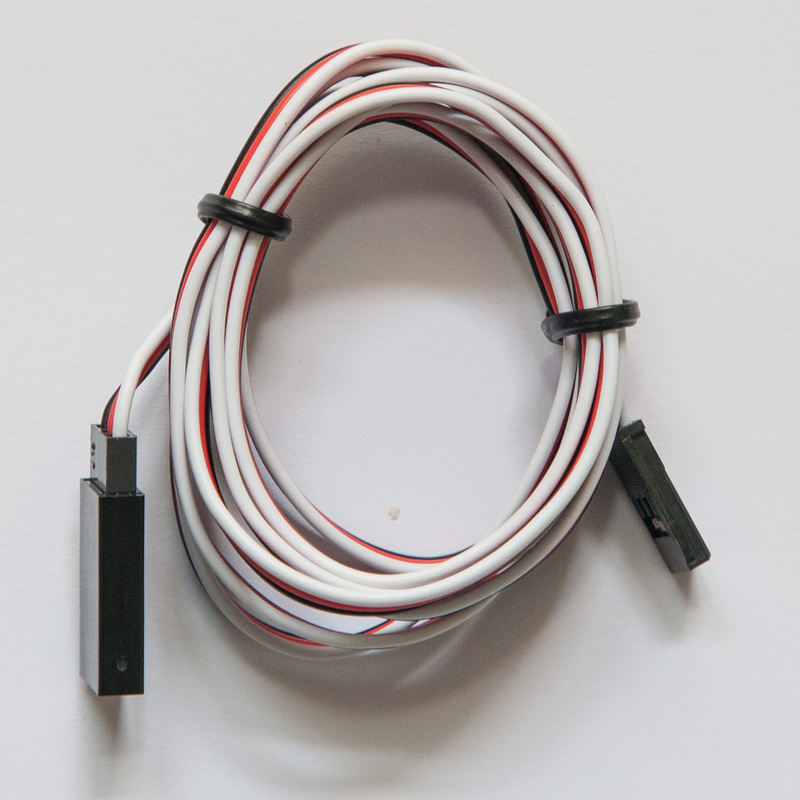 This mode is frequently used on analogue (DC) layouts to isolate and control section power either manually via the MultiPanel (mimic panel) or as part of the one touch route selection when used with out Route Processor.